My name is Azmina and I am a dessert martyr. I am one of those people that only makes dessert for special occasions. I'm the kind of person that spends hours piping ganache or creating cupcake animals for someone else. I have an uncontrollable desire to blurt, "I'll bring a dessert!" whenever someone invites me somewhere, I go on erratic Pin'ing sprees of elaborate desserts, and I have a collection of candy sprinkles that threatens to overtake my kitchen. It dawns on me that I rarely, if ever, make dessert just for myself. And never just because. Which is crazy because I am awesome and totally deserve a cake or pie just because. I am fabulous and glamorous and can enjoy a fancy dessert while the wind blows through my hair and mood music plays in the background. Or actually, because most days, buried under mountains of laundry, baby spit-up, legal briefs, and uncooperative hair, I could really use a dessert just because. And so, I decided to kick dessert martyrdom in the tukus and create an everyday sort of dessert for myself. A kind of dessert made with simple ingredients hanging around my pantry and refrigerator. A dessert I could eat while watching the first episode of a certain show that I have been waiting so anxiously for that I memorized every single YouTube promo (Game of Thrones, anyone?). Enter, the cookies n' cream no-bake cheesecake. One part cookie, one part creamy filling, all parts delicious. 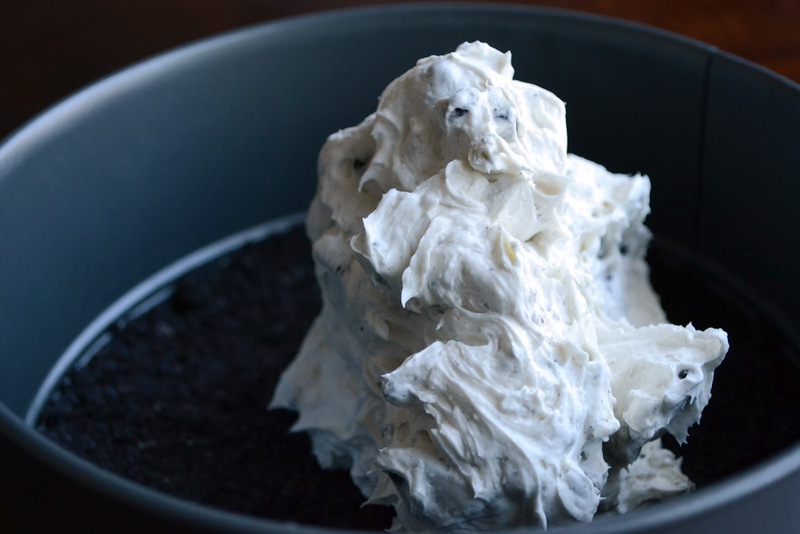 The dessert uses COOL WHIP Whipped Topping to lighten the otherwise dense and heavy cream cheese and adds a dreamy ice cream quality to the dessert when frozen. I am a huge fan because the dessert is so easily adaptable. Don't have chocolate sandwich cookies? Feel free to use any type of cookies to create a crust. Want your dessert to be a bit lighter? 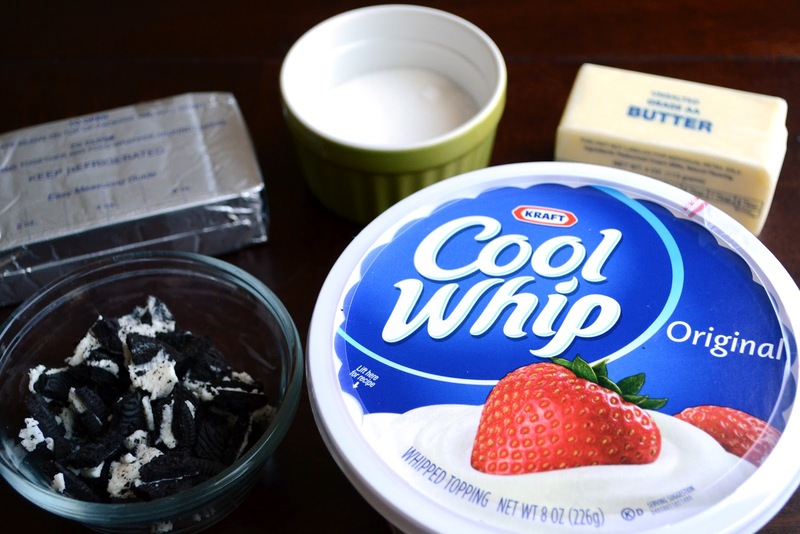 Add more COOL WHIP. 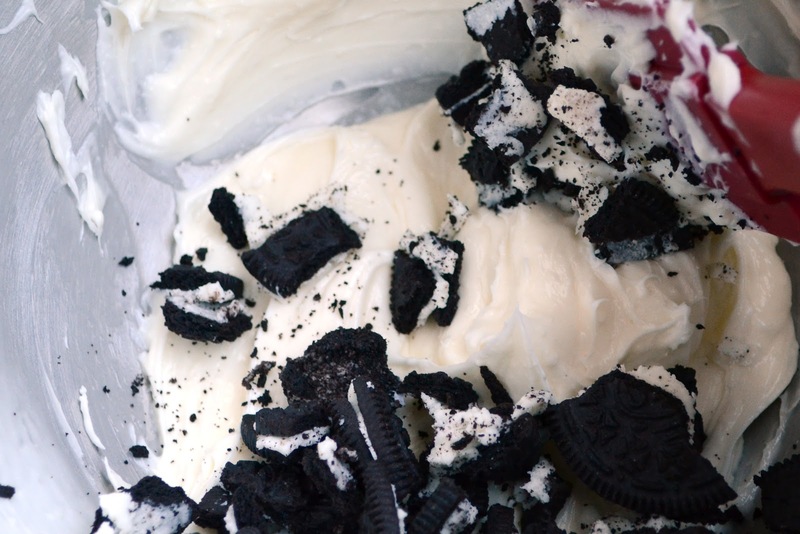 And if you can't wait a few hours for it to freeze, feel free to to layer it in a bowl and serve it with extra COOL WHIP and cookie crumbs dolloped on top. Come to think of it, how gorgeous would this be layered in a clear, tall trifle bowl so you could see the lovely layers from the side? Pinterest, here I come! And yes, this is the kind of dessert you can enjoy sitting amidst the piles of laundry, with a giant spit-up stain on your shoulder, working on legal briefs, while rocking a pink sparkly scrunchy in your otherwise crazy, uncooperative hair. Trust me, I know. Crush 10 chocolate sandwich cookies in your food processor until finely crumbled. Mix with 2 tablespoons melted butter. Press cookie mixture into the bottom of an 8-inch spring form pan. Bake for 10 minutes at 350 degrees. Cool crust completely. Beat 2 packages of softened cream cheese with the powdered sugar until cream cheese is soft and creamy and sugar is fully incorporated. Fold in COOL WHIP. Break up 10 chocolate sandwich cookies into small pieces. Add to cream mixture and mix completely. Layer filling on top of cooled crust. Freeze until solid (at least 4-6 hours). Drizzle with melted chocolate and crushed chocolate cookies. As much as I love real whipped cream, I have to admit that I do have a thing for Cool Whip. It can just hold up better, especially in trifles and desserts like this amazing one. I definitely love no bake cheesecakes. I'm sure it's fun, quick and easy to do. The awesome part is eating it alone (greedy for dessert)or sharing it with your loved ones =)Drool worthy...yumyum! 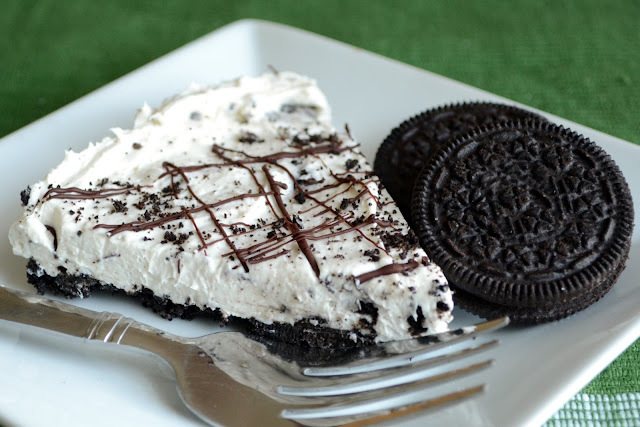 Oh my...this looks sinfully delicious! Thanks for sharing! I wish I had all these things in my kitchen right now. It would totally make my night. I wish that my uncooperative hair allowed me time to do things like make dessert...just because. But really, keeping the frizz under control is a full time job. How do you do it? You have a lot going on and yet you can whip up something so spectacular? You are a superstar! I love the tower of Oreos in the background...LOL! I honestly don't know how you do it. A baby, working full time, still being able to cook & blog...I really want kids, but part of me thinks about all the time I spend in the kitchen/going to yoga/indulging in "me" time and wonder how I'm going to handle it! today i thought of using the carrot-cake-gone-bad to make parfait & with heavy cream on hand I whipped it for a freakin 1 hour with my hand whisk (don't have any gadgets) until I got whipped cream - ! @#$%^& first & last try for sure. about time i kept some cool whip boxes handy. 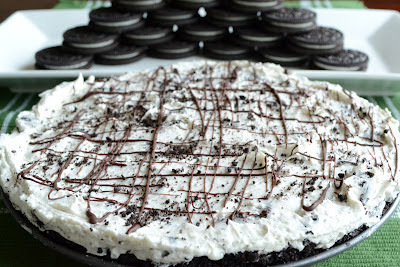 I need no bake recipes and I dont need to explain why I love them. ;) Thanks for sharing. Love how easy it is to make this. Every mom needs a dessert just for her once in a while. Good for you for indulging!! Making this today for our Easter dessert! This looks like an awesome dessert! I love it's a no-bake, so simple and absolutely divine! Will be made soon by me. Any other alternatives/substitutes for COOL WHIP? I don't think they sell COOL WHIP in my country.